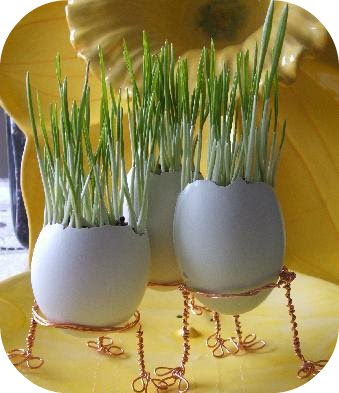 Modernity Collective: DIY Easter Project - Grass in Eggs! 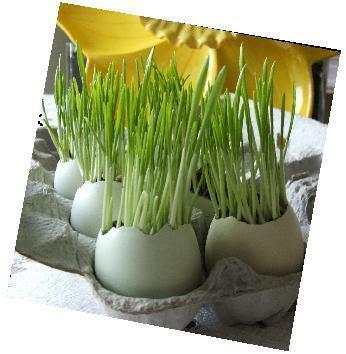 DIY Easter Project - Grass in Eggs! If yesterday's post on the "Egg-Bot" seemed a little too extreme for egg decorating... try this unique DIY Easter project! 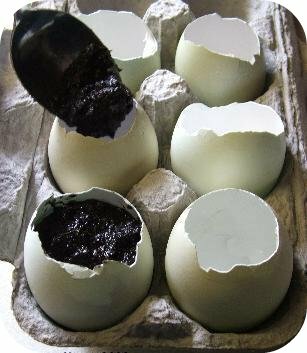 There are two ways to get a good egg shell for planting in. You can use either hard boiled eggs or raw eggs but you must make sure that your egg shell is going to be deep enough to hold a substantial amount of soil. So the trick is to crack them really close to the top of the shell leaving a nice deep cavity for planting in. Give the shells a quick rinse and you are ready to move on to the next step of filling them with your potting soil. Using an all purpose potting soil fill a bowl with it and mix in a really generous amount of water so that it is good and wet, not just damp. 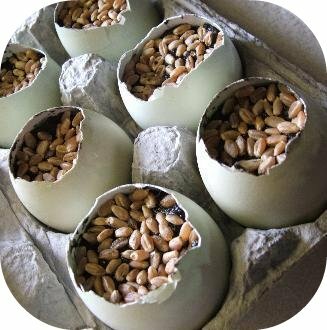 With your shells all set up in your egg carton to keep them upright start to spoon in little bits of potting soil at a time until they are about a centimeter from the top of the shell. Have fun creating some unique plant stands for them to! The above ones we created by twisting copper wiring around to make a little cup holder and then fashioned some chick look alike feet. You can also use pipe cleaners or the dying sticks from the dye kits for stands. Another cool thing you could do is dye the eggs first, then use the colored shell as the planter! Have a great Easter Everyone! Please send in any fun creations you make over the weekend! 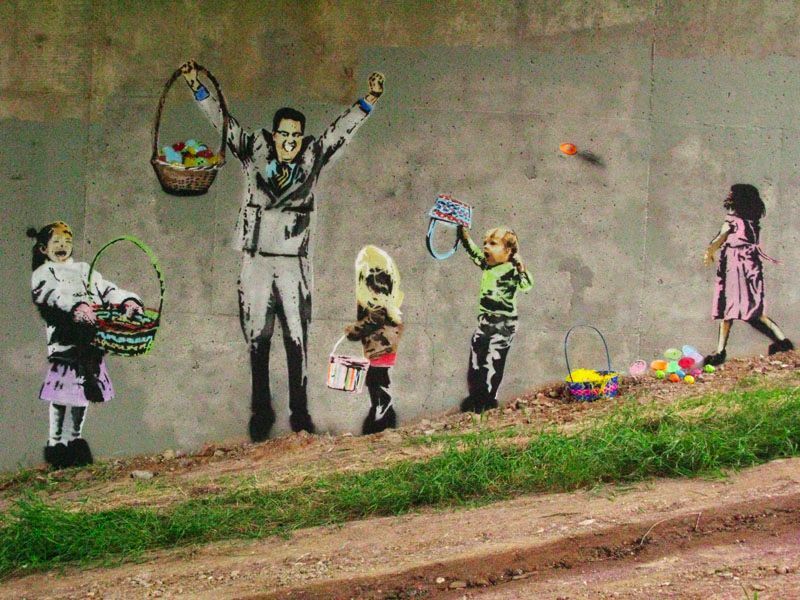 I leave you with a Banksy Easter piece!